Are Laminated Door Glasses for Safety or Performance? Are laminated door glasses a safety device or a performance feature? Good question. It seems that some ARG glass manufacturers believe that these laminated sidelites are performance features. They produce an aftermarket tempered part for replacement of the laminated part found in the original vehicle. That seems to suggest that laminating a part has primarily acoustical purposes, and the tempering of the part satisfies any safety requirements. This was curious to me so I thought I would look into it. I was taught that laminated glass is installed to protect against occupant ejection during a rollover accident. I was also told that the laminated part acted as a “back stop” for air curtains for side impact protection. Both of these uses seemed to me to be safety related. If that is the case, according to the National Safety Act of 1966, “a safety device cannot be rendered inoperable” so a laminated door glass would have to be re-installed or the glass company would be rendering a safety device inoperable. Safety takes precedence over performance. Replacing a laminated glass with a tempered part only satisfies a portion of the total safety delivered by the automotive glass part. I remember a case in 2005, in which a plaintive sued Ford for installing tempered glass in a vehicle when the vehicle manufacturer knew that a laminated part would be safer. Was it? The jury seemed to think so. They awarded the plaintiff more than $30 million. Even though in that case, the verdict sided with the plaintiff, the debate rages on. On one side you have those who advise that the laminated part should be considered a safety device to prevent occupant ejection from the vehicle. The other side the argument is that laminated glass restricts escape in case of vehicle submersion. Who is right? According to National Highway Traffic Safety Administration (NHTSA), both are. NHTSA declined to rule on the issue because both arguments are correct and proper so they refused to get involved and failed to make a definitive decision. So, where should the automotive glass industry stand on this issue? I think we approach the question the same way we approach other issues where there is not clear guidance; we defer to the vehicle designers. Car manufacturers (for better or worse) are responsible for the safety designed into every vehicle made. If a vehicle was designed with laminated door windows, should those of us in the aftermarket question the intent? I believe that putting a tempered part where a laminated part was originally, has the potential of opening up large liability issues. I doubt that many of us want to be involved in that. The Chrysler recall could impact a recently completed installation or a future installation. Make sure that you ask your customer if they were notified about the recall and inquire if they completed the recall repair. If not, it is recommended to postpone the installation until the repair has been made. The Ford recall is not as serious of a concern as the Chrysler one, but it should be called to the attention of the customer. If you replaced a door window in that vehicle and the side curtain bag is slow to deploy, or the door flies open, it may come back to haunt you. It is best to inform the customer of the recall and urge them to complete the repair. Note the conversation on your work order and get the customer’s signature to prove notification. Below are the recall notices. Chrysler Group, LLC (Chrysler) is recalling certain model year 2010-2014 Chrysler Town and Country and Dodge Grand Caravan vehicles manufactured August 25, 2010, through October 31, 2013. The affected vehicles may experience overheating of the vent window switch in the driver’s door armrest. Chrysler will notify owners, and dealers will replace the vent window switch with a newer version, free of charge. The recall is expected to begin in June 2014. Owners may contact Chrysler customer service at 800/853-1403. Chrysler’s number for this recall is P25. Ford Motor Co. (Ford) is recalling certain model year 2013-2014 C-MAX, and Escape vehicles. In the affected vehicles, the restraint control module (RCM) may have errors in the programming software which may result in a delayed deployment of the side-curtain rollover air bag. Ford will notify owners, and dealers will reprogram the RCM, free of charge. The recall is expected to begin May 26, 2014. Owners may contact Ford customer service at 800/392-3673. Ford’s number for this recall is 14S04. Ford Motor Co. (Ford) is recalling certain model year 2013-2014 Escape vehicles manufactured October 5, 2011, through April 10, 2014. Due to an assembly misalignment between the exterior door handle and the door outer panel, the affected vehicles have doors that may be difficult to close or may possibly open while driving. Ford will notify owners, and dealers will inspect and correct the mounting of the door handles, as necessary, free of charge. The recall is expected to begin on May 26, 2014. Owners may contact Ford customer service at 800/392-3673. Ford’s number for this recall is 14S03. If there any questions, give me a call at 800/695-5418. Tinted, sun-shaded and solar glass parts do their job adequately, but the Eclipse technology carries other potential benefits. 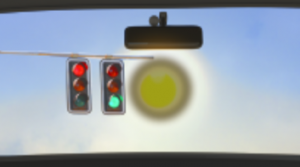 Clear visibility without glare has been a goal of manufacturers ever since glass was discovered and perfected for use in eye glasses, buildings and the auto industry. If this use of LCD pixels works, I predict that it will be a very popular add-on to windshields. The practical side of implementing this film with the manufacturing of automotive glass has not been perfected, but the technology behind it is impressive. If it can be merged with other films already applied to the various glass surfaces, it seems to me vehicle designers and engineers are going to be very interested. 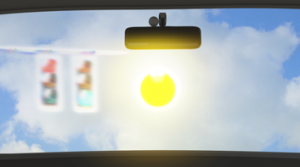 Glare-free windshields could literally eliminate the need for interior visors. If visors can be eliminated, it means that the weight of those parts can be subtracted from the overall weight of the vehicle, thus making it more fuel efficient. In addition, visors have been known to seriously injure occupants in a collision. The elimination of sun visors would mean the absence of another dangerous appendage in the vehicle. The one key component to implementing this new technology is how compatible is it with other films. Solar film is usually applied to the number two surface of laminated glass so it can protect the lamination, interior plastics and fabrics. Reflective film, such as HUD film, is usually applied to the number three surface so the reflection is not distorted by the poly-vinyl butyral inner-layer. Obviously, you cannot use a film coating on the one or four surfaces because it will wear off or can be easily damaged due to cleaning or scraping the surface. This means that Eclipse must be able to be applied to another film. When I posed these questions to Mr. Momot, he was unable to answer. Mr. Momot is not an automotive glass manufacturer so his knowledge is limited in the application of his film to other applied films. My last question was, “Does the Eclipse require an electrical current to work?” His answer was yes it does. The need of an electrical connection should not be a deal breaker for auto engineers because there are currently many types and styles of automotive glass that carry electrical current or have antenna systems that require a connection. Keep your eyes out for this one. It is some cool technology that may very well be standard equipment someday. To read up on this a little more, take a look at this site, http://eclipse.mediabutton.com/.